Ah, summer just demands a cool, refreshing, smoothie! It’s been up over 100 degrees now for about two months here in the Phoenix valley. Anything cold is a welcomed treat right about now! Especially when the recipe calls for fresh fruit and just four total ingredients and minutes to make! Score! I was inspired by this pin where the blogger created a layered smoothie that completely catches your eye from the different colors. I wanted to make something like her idea, but with two berry layers! Blend blueberries, 1/2 cup of ice and 1/2 cup of orange juice together. Once blended, pour into a glass no more than halfway full. 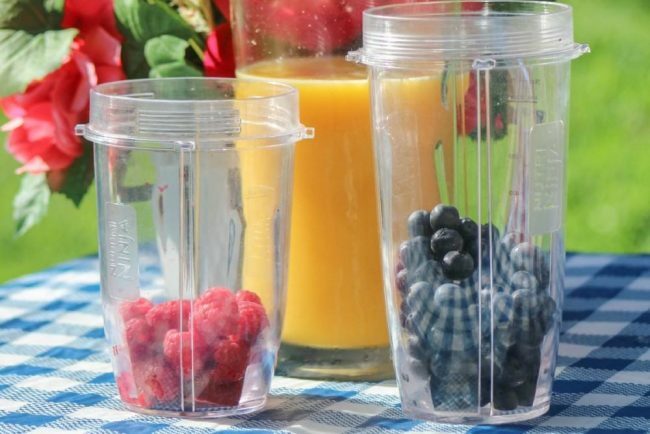 Blend raspberries together with the remaining ice and orange juice. Once blended, pour on top of the raspberry mix. To create this layered look, you’ll want to always use the blueberry layer at the bottom as it is thicker. 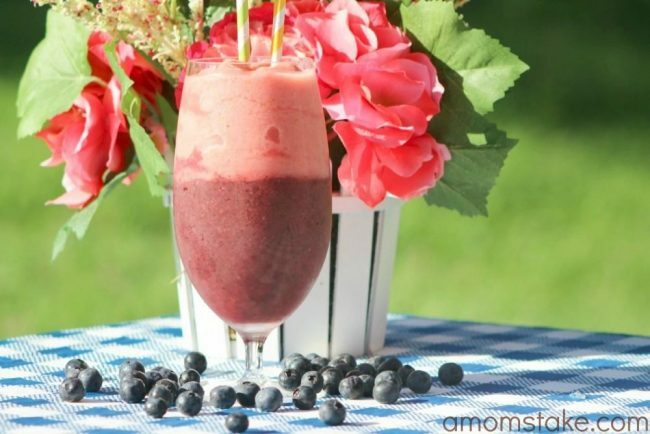 Flavorful, and easy, fruit smoothie with a fun layered look that blends two great flavors. Blend blueberries, ½ cup of ice and ½ cup of orange juice together. To create this layered look, you'll want to always use the blueberry layer at the bottom as it is thicker. What yummy flavor layers would you combine to make your own layered berry smoothie? My wife always puts yogurt in her smoothies. With all of the flavors of yogurt available, it would be easy to find one that would complement any fruit variety in the smoothie. 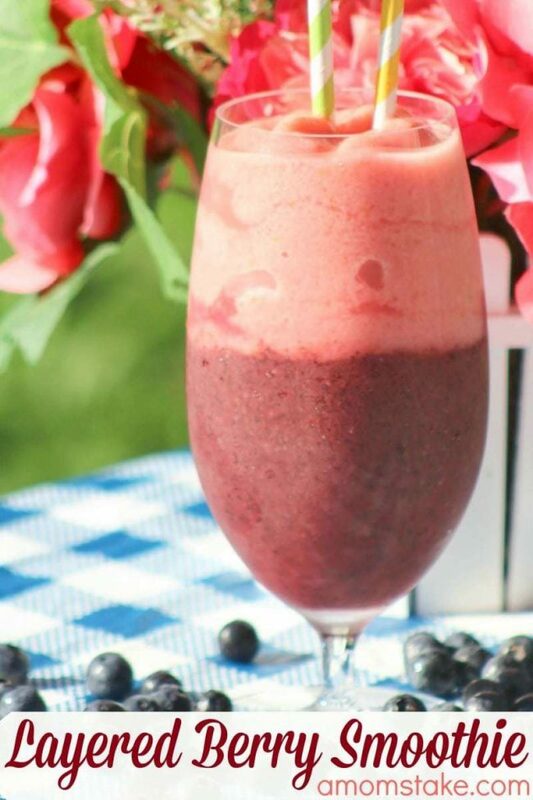 Berry smoothies are our 2nd favorite (next to chocolate). Wish strawberries would stay in season year-round! I have never seen a layered smoothie before! This looks like a delicious idea! That looks very refreshing and healthy. Perfect way to wake up in the AM! That looks refreshing and delicious. Perfect on a hot day like this. That sounds amazing. I love healthy smoothies!